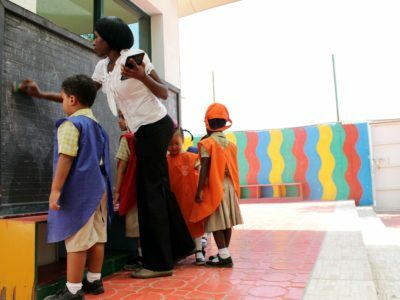 The students get an opportunity to explore , experiment and learn in OLA. 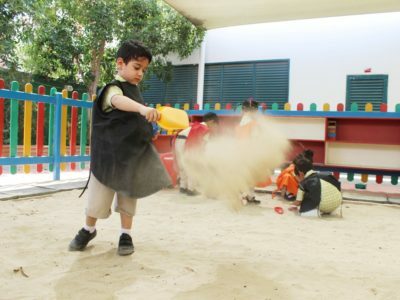 There is sand area, water area, kitchen garden and a play pen to provide extensive opportunity for learning with fun. Fixed equipment offering swinging, sliding, climbing, hanging, balancing and jumping options fits in the active area. Boulders, rocks and logs can also be used for climbing, balancing and jumping. 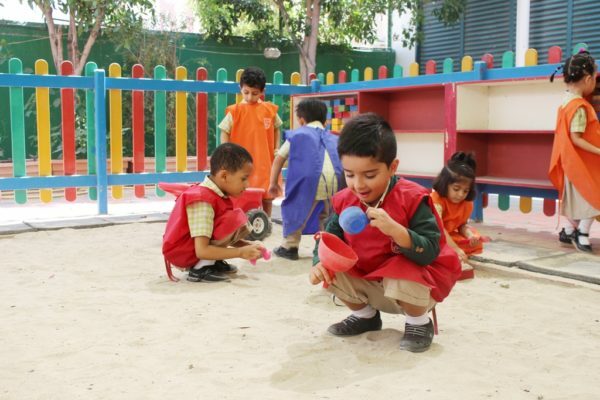 Free play areas include open grassed spaces and slopes for running, informal ball games, cartwheels, somersaults and rolling.Trees, shrubs and ground covers can provide different scents, textures, shapes, colors and sound and help stimulate imaginative and creative play. 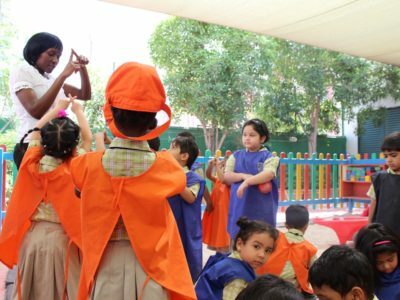 They can also encourage bugs, birds and other wildlife into the environment and add to the diversity and learning opportunities.